Carotid Artery Disease (CAD): When plaque builds up in the neck’s main blood vessels (carotid arteries), blocking blood flow to the brain. CAD can lead to stroke, if not treated. Peripheral Artery Disease (PAD): When plaque accumulates in the artery walls of the veins leading to your limbs, preventing blood flow to your arms and legs. This condition can result in amputation if your limbs do not get enough blood. Aortic Aneurysms: When the main blood vessel that delivers blood to the body near the abdomen (the aorta) becomes so enlarged and/or weak it bursts. 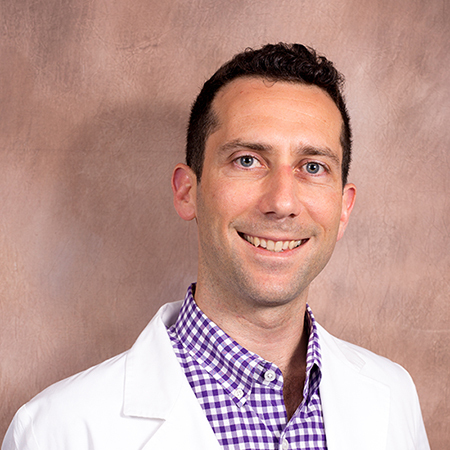 An aneurysm that bursts is an extremely life-threatening condition. Anyone over the age of 65 is a good candidate for screening. If you have additional risk factors, you should be screened as early as 55. Other risk factors include: having a family history of vascular disease or circulatory problems, have been diagnosed with diabetes, have a history of smoking, or have been diagnosed with high blood pressure or high cholesterol. The most common testing for vascular disease is through ultrasound. This is a quick, painless and non-invasive test that bounces sound waves off your veins and internal organs so the specialist can “see” what is going on inside your body. 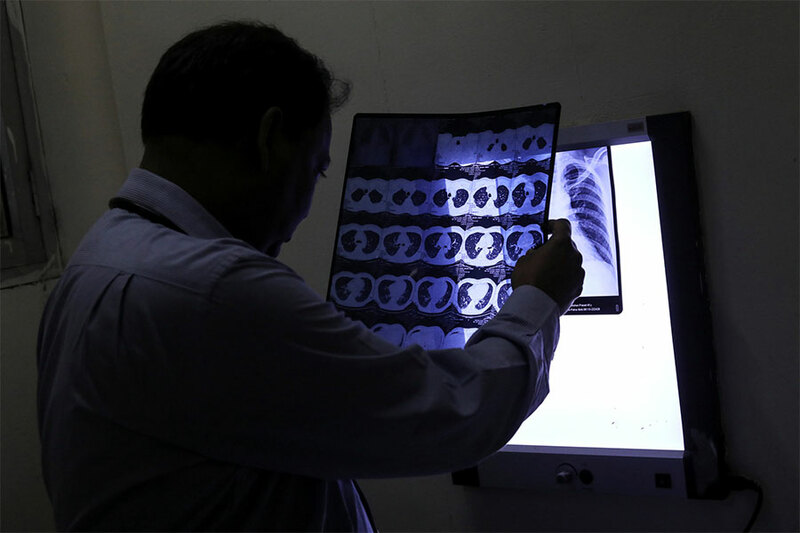 This allows the radiologist to look for blockages, or weakening in your arteries and veins. These screenings have accurately demonstrated their ability to detect vascular disease so you can treat the condition before it becomes irreversible. 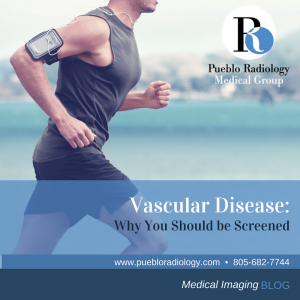 Pueblo Radiology specializes with vascular screening ultrasounds, covering the three most common problem areas for vascular disease: the carotid arteries in the neck, the aorta in the abdomen, and a blood pressure assessment of the lower limbs. From this three part screening, our experts assess these areas for CAD, PAD, risk for aneurysm, as well as your risk for developing issues in other areas of your body. Call 805-682-7744 today to schedule your screening and get an expert assessment.